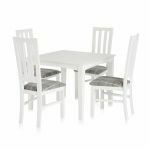 Looking for a smart and simple white square dining table and chairs in solid hardwood? 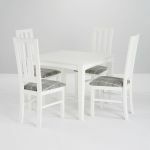 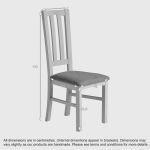 This white dining set comprises the 3ft Shaker dining table and four Shaker chairs with grey check. 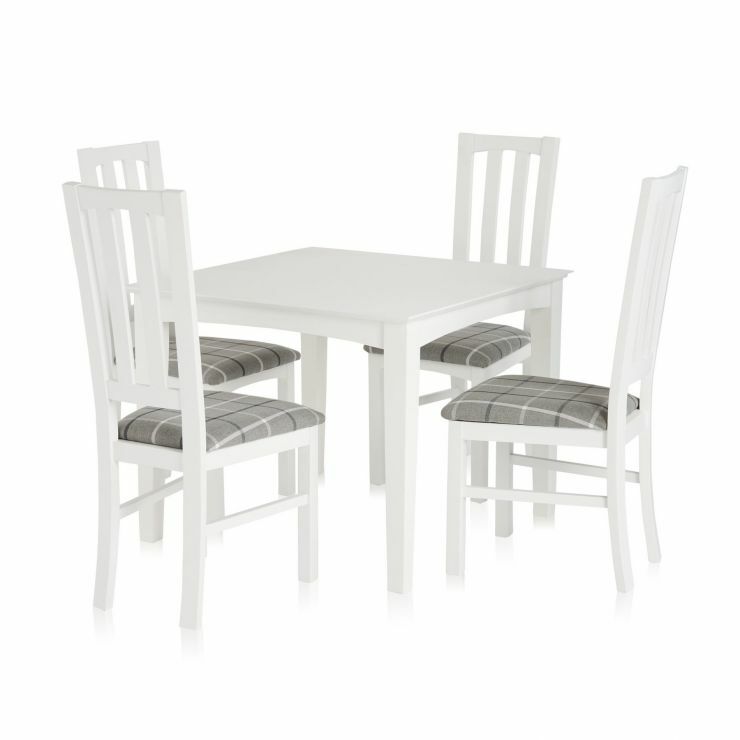 Smart, bright white paint and modern grey upholstery will lighten any dining corner, or a breakfast room. 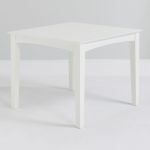 Shaker is a simple design, a whole range made from 100% solid hardwood. 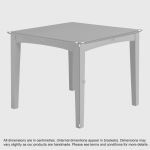 Browse the range and see If you’d like to add a sideboard or console table to your dining room. 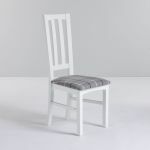 If you want a different colour seat pad, have a look at our dining set builder.